Twinslot Uprights in white, chrome or black available in various sized lengths to create modern shelving or displays for any industry whether you are looking to utilise storage space in a domestic environment or for retail or commercial use are twinslot uprights are an affordable shelving system and an alternative to gridwall and slatwall systems. 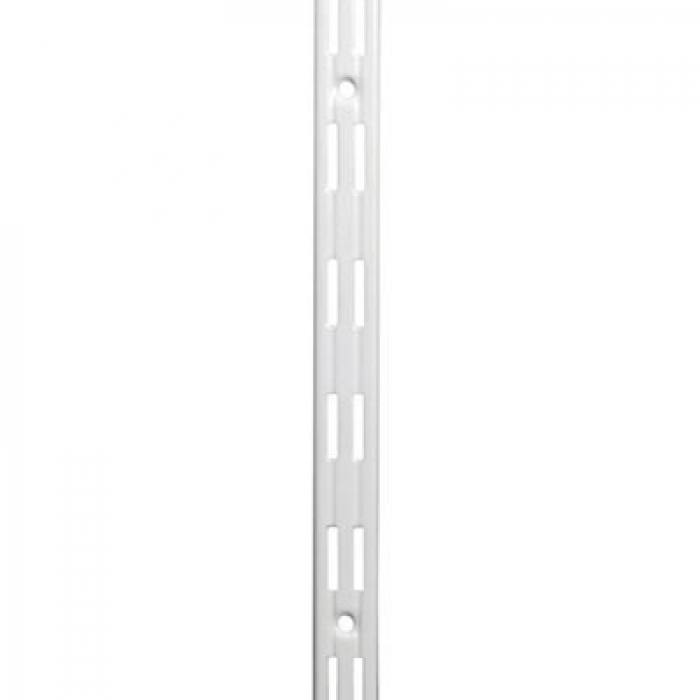 The pitch for the wall fixing holes on the twinslot upright is 220mm with a vertical pitch for the twin slots of 32mm which makes the twinslot uprights a versatile shelving system. Use with Twinslot Brackets and accessories. Ideal for your shop or in your storeroom. Sold in box quantities of 10 lengths.